Tai Chi training for Rehabilitation is designed to harness the well documented therapeutic benefits of Tai Chi and Chi-Kung (qigong) along with Alexander Technique, CBT, Mindfulness etc. The aim is to create change both mental and physical, and to encourage continued personal development. The NHS, AgeUK, Parinson's Society, Stroke Society and many others are looking to Tai Chi and Qigong as the most effective and inclusive activities for mind and body. There are vertually no condition exclusions and no special equipment needed, making Tai Chi and Qigong both effective and low cost. To increase access for recovering patients, we have developed a tried and tested training program for Health Professionals. This enable staff to train to deliver sessions that also supports the continued attendance of patients in community classes, once discharged. Tai Chi is a form of gentle exercise that combines deep breathing and relaxation techniques with slow, graceful movements. It can be carried out individually or in groups. Because Tai Chi is largely based on technique, it does not require great strength or flexibility. It has become an increasingly popular activity for people with MS and is associated with stress relief and health improvement. The physical and psychological effects of Tai Chi have been examined extensively in both older people and those with chronic conditions (long term conditions). Researchers in Boston, Massachusetts carried out a review of 47 controlled and observational studies that looked at the impact Tai Chi had on people with chronic health problems, including MS. Although there were limitations or biases in some of the studies, the group concluded that there was evidence of medical benefit. They found that long-term Tai Chi practice had favourable effects on the promotion of balance control, flexibility and cardiovascular fitness and reduced the risk of falls in older people. It was also found to reduce pain, stress and anxiety. 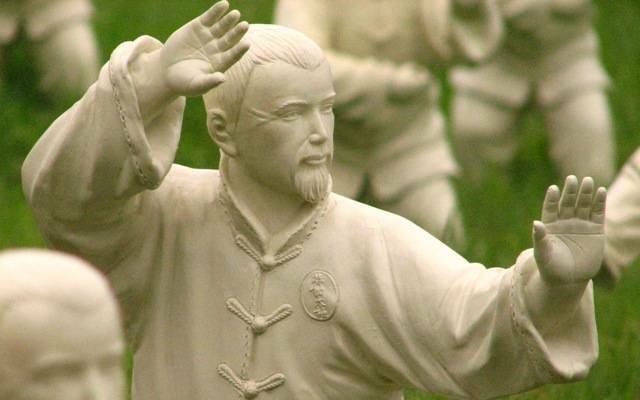 As a martial art Tai Chi involves a considerable focus on the spiritual aspect, self-awareness and mindful practice. A high percentage of teaching in the UK only deals with the exercise side of Tai Chi. Reference: Wang C, Collet JP, Lau J.
I am one of only 4 people officially certified by Professor Lin Housheng, the creator of shibashi, to train people in the UK.